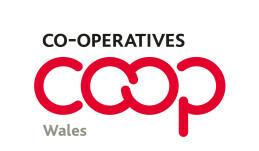 Wales Co-operative Centre are assisting a co-op housing group in the Vale of Glamorgan. They are looking for creative co-operators who would be interested in purchasing 2 bed houses at c. £215,000 in Wenvoe, as part of a co-operative with Newydd Housing. There will also be some market rent 2 bed houses at £500 pcm and some 2 bed flats at £420 pcm which are unallocated at present. It is at an early stage, so any new people would be able to help develop the co-op.